BACK ON MARKET: BUYER COULDN'T QUALIFY. 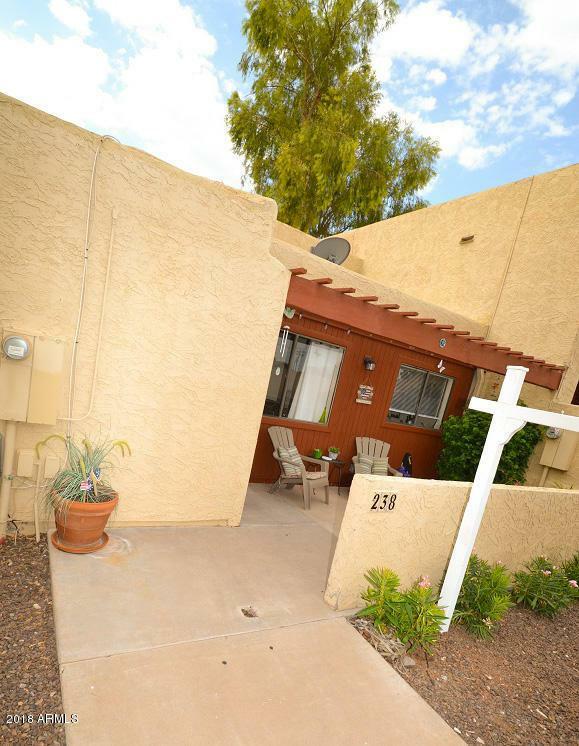 Beautiful 2 bedroom, 2 bath home all on ONE level. 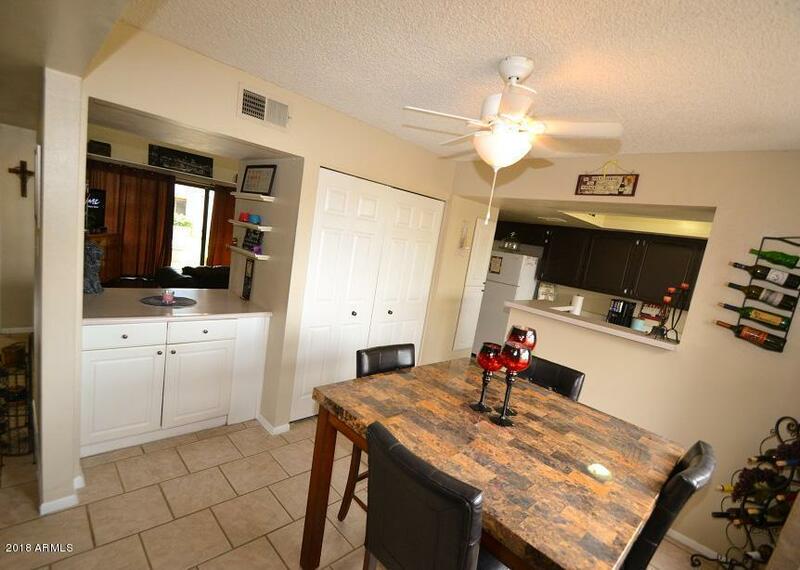 Open kitchen with a formal dining room that could be used as an office. Large master bedroom with it's own private patio. Second bedroom has a private bathroom entrance. The great room has plenty of room to create your own entertainment space and a gas burning fireplace to add to the ambiance. A large open patio outside overlooking the manicured green grass area and ramada. 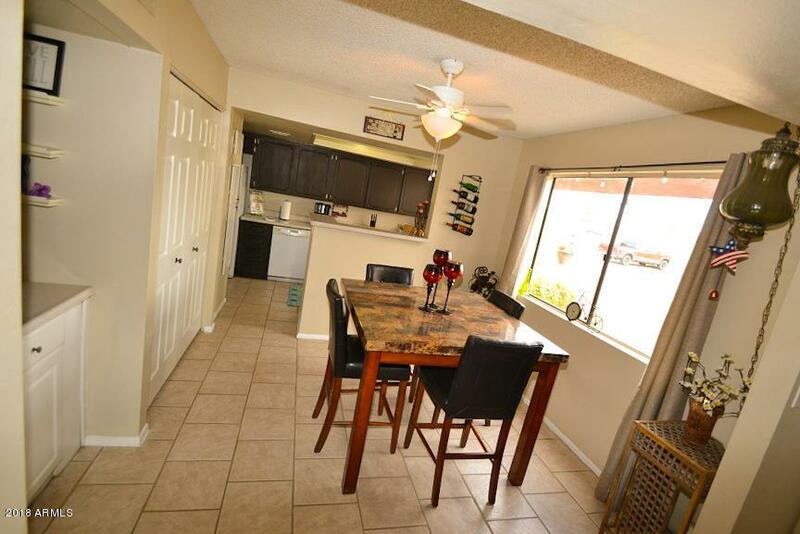 Tile and beautiful stained concrete flooring throughout the home. Inside laundry w/washer & dryer included. 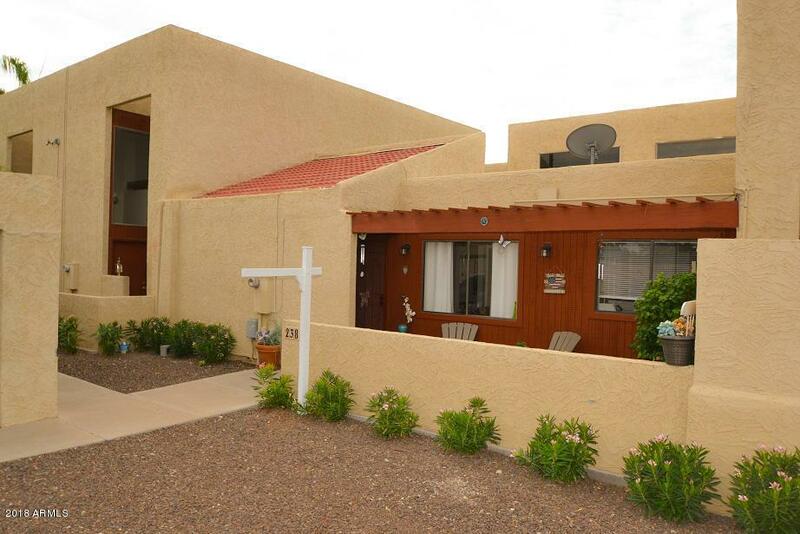 Right in the center of Mesa and close to downtown shopping, dining and malls. Close to the 60, 101 & 202 freeways.